Eton Mess – Tidied Up! 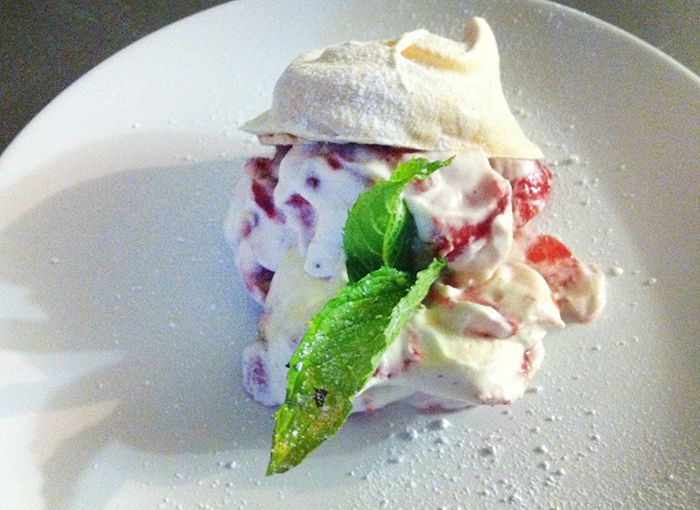 My version of Eton Mess.Thanks to our Commis Chef Trisha Duff I’m now the queen of meringues! These are homemade & the strawbs are organic-boy but that makes a difference! Another little tip to bring out the best in your strawberries; hull them, don’t wash them; quarter them & then sprinkle with sugar & a small amount of black pepper.You’d hardly credit the effect!